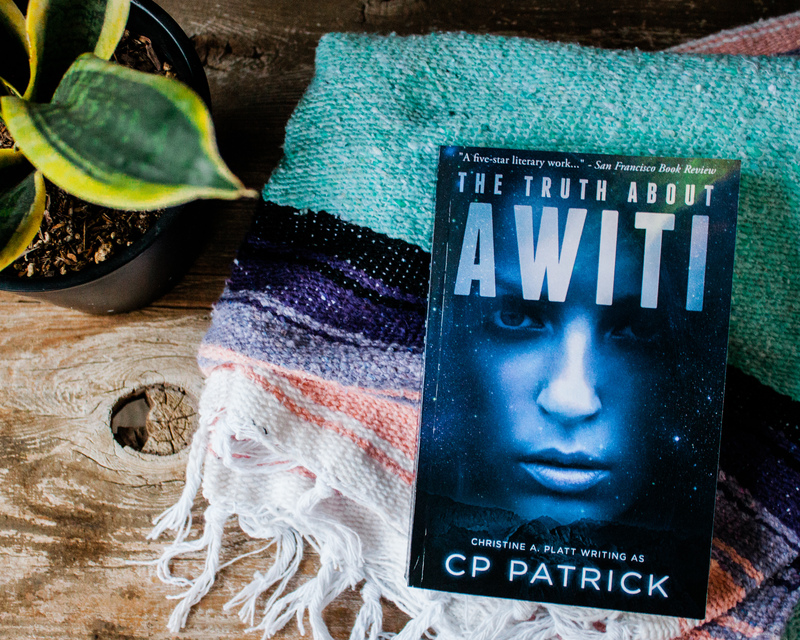 February’s book of the month, The Truth About Awiti,was written by the fabulous Christine Platt, under the name C.P. Patrick. You can buy your copy here! Although I have never met her in person, Christine is one of my favorite online friends. She inspires me daily with her uplifting and positive attitude. Simply put, she is lovely. When I discovered she had written a book, I was eager to read it. I was not surprised to learn that she is a brilliant writer. It is easy to recommend her book as my February book of the month! Being able to chat with the author is a wonderful gift, I feel incredibly blessed to be able to do so. Christine warned me before I startedThe Truth About Awiti, that it is difficult to read. It’s not that the writing is hard to read, as I stated earlier, Christine is a brilliant writer. In fact, it is her talent that immediately connects and creates empathy for each character, no matter how brief their story in the book may be. What is difficult is the content. We’ve all (hopefully) studied Black History. We’ve read books and heard accounts of the brutality experienced with the slave trade to include everything up to recent history. What is hard to read are the atrocities that are shared. Although many of the stories are told by fictional characters, each are based on real life events. Each and every chapter made a different part of my heart hurt, more than that, I felt helpless. The beauty found in the book is that although one’s heart is full of anger, sadness and loathing, living only for vengeance and retaliation will not bring peace. As the main character Awiti struggled, I believe I would as well, given the enormity of the prolific abuse sustained over the years. There are so many emotions that remain when finishing this book, but, the lesson I took was the importance of searching for peace within your own heart, no matter how incredible the tragedies you have been through are. Hate, anger and vengeance will only continue if you do not allow yourself to find inner peace. There is a commonly held belief the tropical storms and hurricanes that form off the coast of West Africa are not natural disasters, but rather they are retaliation by restless spirits impacted by one of the darkest chapters of world history-the trans-Atlantic slave trade. Awiti’s destiny was forever changed the day the slave raiders arrived at her village. She made a life-altering decision with the hope of being reunited with her family, only to discover her effort was in vain. For centuries, her sadness raged within the winds and rain, resulting in tropical storms that devastated the South. But there is more to Awiti than creating hurricanes, as those who have encountered her love and wrath will attest. The truth is, there is so much more. Follow Awiti’s story from mid-15th-century Africa to 21st-century New Orleans in this historical fantasy that will leave you questioning the impact of the trans-Atlantic slave trade on the physical and spiritual realms. I’d love to hear your thoughts on this book! Message me in the comments and tell me what you think!